The consumer needs to know more technical details beyond the screen. 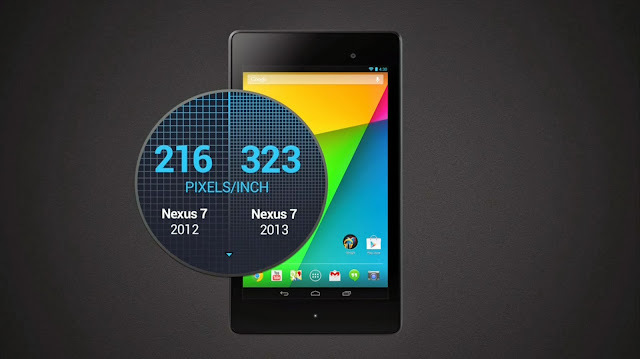 That Excalibur moment for the Nexus 7 2013. It is great to see an LTE version – especially as 4G is starting to really take off in the UK on a large scale and it’s about time too! Again, I am thinking of going with the Three network because their 4G service will not cost extra which is brilliant news! It's also good to see 2 GB of RAM on this awesome tablet. What I noticed straightaway was that the side bezel is slimmer while the top and bottom looks the same. 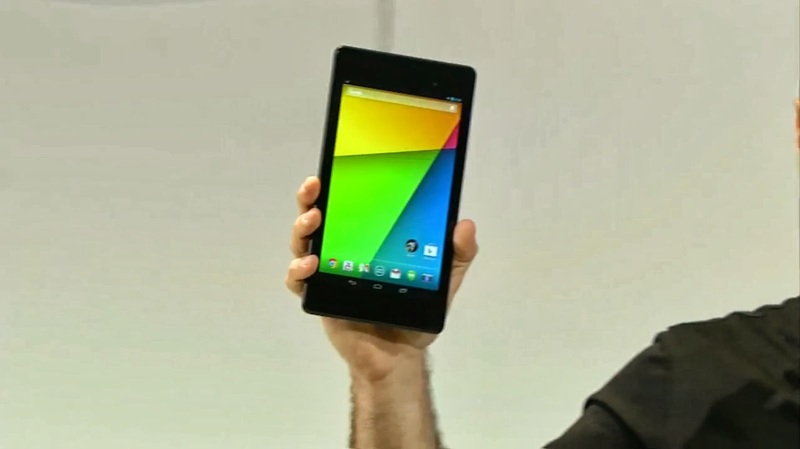 I think that the top and bottom could be a little slimmer; regardless, the second generation Nexus 7 looks great. The tablet fits comfortably in one hand. Gone is the rubbery dimpled back that made the Nexus easier to grip and it is replaced with a smooth back bearing the “Nexus” logo. What I like about the 7” tablet is that it can so easily fit in a pocket, handbag, manbag, etc. Then again the 7” tablet appears so small when compared to the amazing phablets that’s currently on the market such as the Sony Ultra (now that’s massive) and the aforementioned Samsung Galaxy Note 3. In fact Asus has shown that it is feasible to place a 7” tablet to the ear to accept a phone call – granted that this will not suit everybody! I envision that the next form of handset / phablet will be one that when folded it is a 5” handset and unfolded it becomes a 10” tablet. Roll on flexible screens! Oh, it is rumoured that Samsung will reveal a limited edition Galaxy Note 3 with flexible screen and no, I do not think it’ll unfold into a larger tablet. But that would be something! Lol! Enough about other phablets and tablets for now! I tell you, the second generation screen reminds me of the scene in the Cronenberg movie, Videodrome, when protagonist, Max Renn (James Woods) places the Videodrome visor on his head and he screams to have the intense burst of light reduced. Yes, that’s how amazing the second generation Nexus 7 screen is! You have to see it to believe it. The screen is the best I have seen on a tablet thus so far! The colours are vivid but natural and text is pin sharp. Anything that appears on the screen is delightful! Websites look as they should and videos are great to watch! It’s practically a mini HD TV that fits in the palm of your hand! 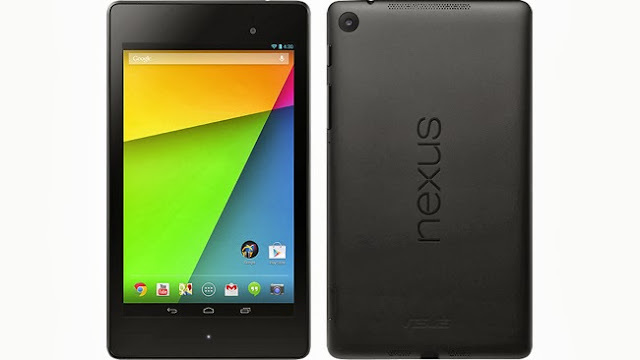 Unfortunately, I did not have the Nexus 7 for long but for the little time I had it I enjoyed it immensely. With a screen like that I am encouraged to more than use it to keep tabs (no pun intended) with my social networks. I can see myself getting seriously into word processing, photo editing and much more besides! I am certainly interested into music and, perhaps, video editing. I did miss this sublime tablet when I had to give it back. I reckon the price is reasonable – the LTE version represents great value as the iPad mini would cost a lot more and it hasn’t even got a retina screen! Now I am seriously thinking about getting the LTE version but I am in no hurry because the Three network is set to roll out its 4G LTE in December. I also wish that Google would add storage expansion via microSD. Why be like the iPad? In the meantime I will keep a watchful eye on tablets to come before 2013 is out. The Nexus 7 II is certainly at the top of my list. Again, the Apple iPad mini is looking like an old relic of a bygone technological era. I do think that Apple, as usual, have got it wrong. The iPad mini should have had a retina screen and it should have cost under £200! It is clear to me that Apple has lost the tablet in a big way! Most non-technical people have it burned into their heads that the iPad is the way to go when it comes to tablets but when it comes to the price there is a great reluctance. I think I have told you about a young Polish mother and her 3 children having a look at the tech section of my local supermarket. Yes? Anyway, she was looking at a tablet for her children this Christmas and she, despite her children wanting an iPad mini, is most likely going for an Android tablet. Her technical knowledge is, self-admittedly, non-existent and I pointed out to her that there are several Android tablets that offers great value for money above the iPad, one of which as the Iconia A1 and the Nexus 7 II. It seems to me that Google, and other manufacturers, need to concentrate on highlighting some technical specifications without scaring off the consumer. I believe that by imbuing consumers with technical knowledge the Android tablet sales will start to eclipse the iPad mini and iPad. What we are witnessing now is the tip of the iceberg. No doubt Apple will come back with a fifth generation iPad and possibly a second generation mini but like what they have done with the recent iPhone releases they’ll miss the mark yet again! A picture from the Samsung Galaxy Note 3. The colours are very, very accurate! The quality is there! It is such a shame that I didn't have time to show you video footage! But I can assure you that you will not be disappointed with photos and video! Good afternoon, Synapse Circuit Readers! How goes it today? I can tell you that I am feeling great and dandy! It’s a remarkably sunny day here in London at this time of year! I hope the weather is good – if not great – where you are! Wanna joke? Okay... Get ready... This’ll kill ya! When I read that headline I laughed so hard that I broke out into a sweat! Hahahaha! I suspect that this is yet another PR stunt that Apple is behind. C’mon, “SAMSUNG” trade-ins in particular???? That’s horsepoop! Ha! ...I popped into my local Phones 4U store to see a friend and he let me know that the Galaxy Note 3 was in the store and I had to try it out! WARNING: DO NOT TOUCH THE GALAXY NOTE 3! Once you have the Galaxy Note 3 in your hands you do not want to let go! COULD IT BE THAT I AM IN LOVE YET AGAIN???? 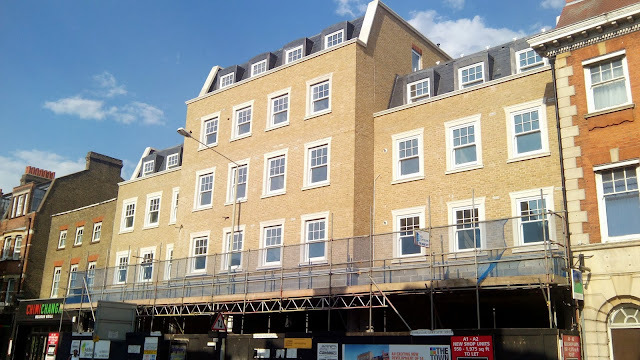 DESIGN & FORM: A FAUX PAS? Samsung have managed to surpass expectations yet again! It’s one thing to see pictures of the Galaxy Note 3 and it is an entirely different thing when it is in your hands! The design, as I predicted, took up where the Galaxy S4 left off. 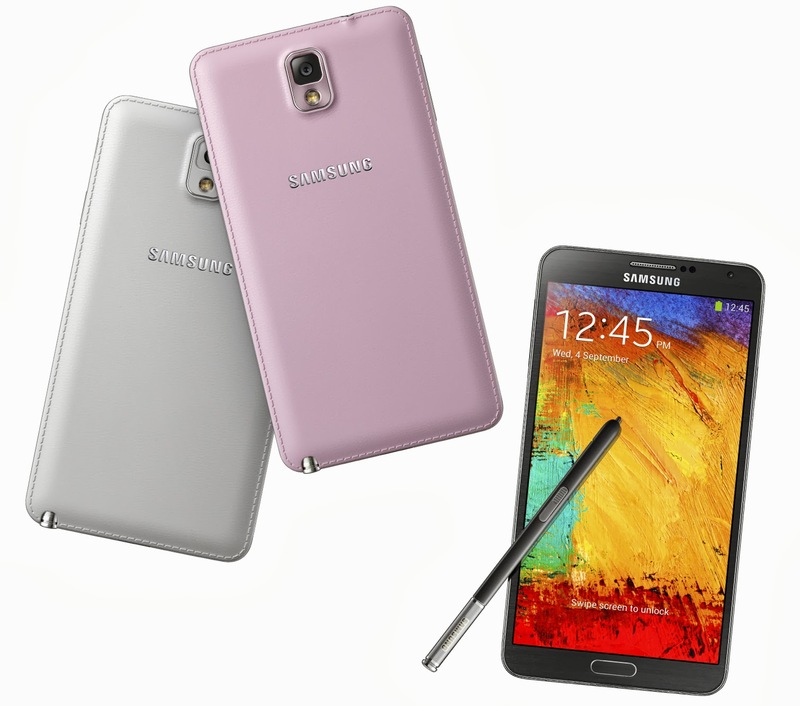 The Galaxy Note 3 looks like a bigger and refined S4. The size is perfect and the handset is remarkably light – especially when compared to the Note 2! The faux leather battery cover feels wonderful and increases the grip tremendously when compared to the smooth cover of the Note 2. I just wished that the faux metal was real as it would add more to its premium finish. But make no mistake, the Note 3 looks and feels premium! I LOVE IT! I immediately got on well with the Note 3; no need to go through any tutorial or ask for help. My friend looked both relieved and impressed that I know more about the Note 3 than he does or did thanks to me showing him how it works. Not that I am showing off or anything like that but I found myself having to correct him on a few things. One of the things I corrected him on was the video capability: the Note 3 does indeed capture 4K video and the playback was as slick as melted butter! Beautiful! My friend kept on calling the battery back “leather”; I told him that if he were speaking to a customer they’d be mislead. He thought that the 5.7” screen had to be in a 4K resolution in order to record 4K video! Oh my good God! Maybe I should distance myself from this guy... 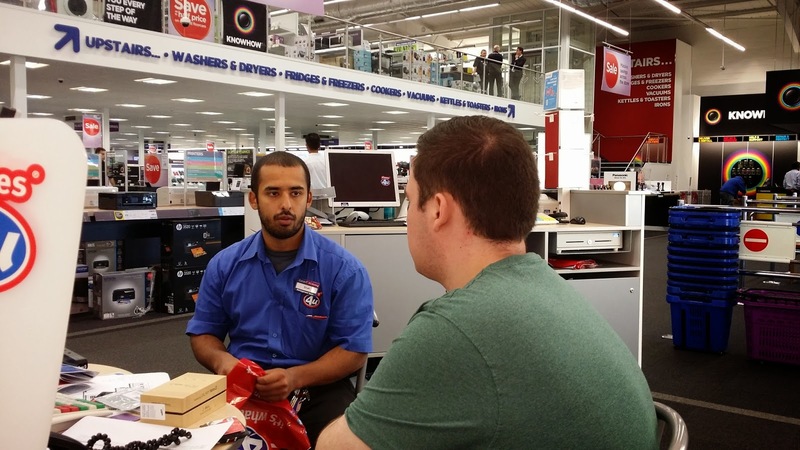 I am kind of serious because I do think that sales assistants should know what they are talking about – it’s what they get paid for! For crying out loud!!!! The camera is very much the same as the Galaxy S4 what with all the different modes and functions. The only addition I could see was the 4K video. Oh, I tell a little lie... ...the pictures and video appeared to be a little sharper. I wish I had been able to get a sample of both 1080p and 4K video; but you can take my word that the video is pristine! I have never seen video like it on a handset before! The video footage is crisp, sharp and remarkably smooth! I could hardly believe my eyes! I wonder if a software update for the S4 could make the video footage that much better... Hmmmm... I know that an update for the S4 fixed some issues with the camera. Again, I was impressed with the photos! I was particularly impressed with the web browser because websites look as intended! I have seen some browsers on various handsets make a mess of an otherwise good site! As a onetime professional web designer I find it is a relief to not create a phone version of a site. Surfing the Internet was a very, very wonderful experience. Because of the CPU and 3 GB RAM pages loaded up instantaneously – as fast – if not faster than a decent PC! Wow! Watching full HD YouTube video was also very, very pleasing. That beautiful 5.7” screen is so vivid! The S Pen has improved a great deal and Air Command makes it a breeze to make notes, perform searches, etc. The S Pen allows me to write the way I write; I did not have to accommodate for the device. Uh-uh! The Note 3 truly felt like an extension of how I work. The only niggle I have with the S Pen is that I wished it was round like a pen for a more comfortable grip but you do get used to it. Yes, I am in love again! I WANT ONE YESTERDAY! That’s how I feel about the Note 3! I WANT ONE! The design is superb and, for the umpteenth time, I do appreciate that it’s made from high quality plastic that makes for durability. That said, I do think that the faux metal frame could result – over time – with peeling. Y’know? It’s when the metallic finish starts to peel away so that you’re left with the dull plastic underneath. There again, this peeling has yet to happen on my S4 and Note 2 – they look like I bought them yesterday! As you know, I have been seriously thinking about purchasing a tablet this year. However, the Galaxy Note 3 has made me question if such a purchase is necessary. The Note 3 is simply stunning! I feel that I could everything that I need to do on it... I think I can do without a laptop and certainly a tablet if I had the Note 3. What I like about the tablet is the larger screen size – not just for media but productivity too! A larger screen size will prompt me to purchase a decent equivalent to Microsoft Office. I have noticed that I don’t need to carry a pen and paper around with me with the Note 2 but when it comes to productivity I tend to use my PC. I want to challenge myself to using the Android phablet and / tablet to the max! The 5.7” inch screen does make a difference! I was actually thinking of purchasing an Asus Fonepad because I like the idea of being able to make calls as well as having a tablet. But now I am seriously thinking of the Note 3 as it has such powerful hardware! The Note 3 could easily sway iPhone users and possibly iPad mini users as the screen offers a better resolution and power! Think about it... You buy an iPad mini and have to use Wi-Fi and for the amount you have to pay for it, £269 for the 16 GB version it seems a waste. Or if you wanted 3G with the iPad mini you’d have to add an extra £100 to the above price tag. Oh, not to mention having to then pay for the 3G connection! 1. Voice & video calling. 2. LTE or 3G connection. 3. Solid and powerful hardware. The price you end up paying for the iPad mini could set you back around the same – more if you go over data / minute plan! I want to get mine on the Three network because they have a better deal than any other network in the country (UK). I am looking for unlimited data, 4G (when it arrives on Three) which will be at no extra cost and a good amount of minutes. I know that I will save a lot of my minutes by using these wonderful free calling apps! Cool! But I hope that I have given you something to consider! The STM Blazer D7 Sleeve featuring a zipless pocket at the back that can comfortably hold A5 papers. I found it handy to carry my flyers! A great fit: Iconia A1 and Blazer D7. The Acer Iconia A1-810 and STM Blazer D7 Sleeve is a great combo! Mmmmm... Provamel dairy free chocolate dessert is so delicious! Yes, as predicted the Android tablet has overtaken the iPad primarily because, like the handset, there are so many models to choose from that fits just about every budget and user. The iPad mini is a big mistake in that it has cannibalized the sales of the 10” iPad! Because of Apple’s determination to take on the 7” they were blind to realize how ill thought out the iPad mini was and is. Here’s why the iPad mini derailed Apple’s own iPad and gave rise to the Android tablet. 2. ...users realized that the retina screen was mainly hype. Don’t get me wrong, having a quality screen makes a difference but not that much otherwise Apple would have added retina to the mini. iPad enthusiasts were able to continue to use the apps they’ve become accustomed to. 3. The price is out of sync with a majority of Android tablets. As a result many consumers opt for an Android tablets either for themselves or for their children. There you go; 3 reasons why the iPad mini was a bad idea. Just like the iPhone 5C, the iPad mini has not only cheapened the brand but has revealed that Apple is losing the battle against Android despite their in denial cool front that they present. 0.3MP front and 5MP rear cameras. Oh, I should also mention that there is a 3G version of this tablet for around £199, the A1-811! Very good! As you can see the above specifications are quite good for a tablet at this price; you’re getting a quad-core processor! In addition there’s a main 5MP camera and front-facing camera for video calling. Other pluses are the mini HDMI and microCD slot (up to 32GB). The 7.9” display has a 4:3 ratio instead of the customary 16:9 wide displays of other Android tablets such as the Google Nexus 7; while it is not the sharpest of tablet screens I was quite impressed by the quality. I was able to read documents, interact with Facebook quite easily without eye strain. To look at the Iconia A1 you’d be forgiven for thinking that you’re looking at the iPad mini; the design is very similar albeit with no physical home button! Although the body is plastic the Iconia is very well constructed with a pearl while back which proved to be very resistant to fingerprints. Many budget Android tablets look and feel cheap but this is not the case here. The design is quality and the tablet is easy to hold in one hand. It’s very light too! I would have liked a cover for the microSD card as it is easy for someone with malicious intent to remove it. I was pleasantly surprised by the responsiveness of this unassuming tablet, many cheap Android tablets have been sluggish hence why I have been waiting for the quality to improve. There again, this was pre “Project Butter” that came with Jelly Bean (Android 4.2 and 4.3). By placing 5 fingers on the screen the tablet wakes up! Apps are quick to display once launched. As you may have gathered I am a heavy Facebook, G Plus and Twitter user, the Iconia A1 handled these apps very well. I used my Galaxy S4 as a Wi-Fi spot and I was delighted with the set-up but I would opt for the 3G version of this tablet because there are many good to great SIM only deals from various networks to be had in the UK. 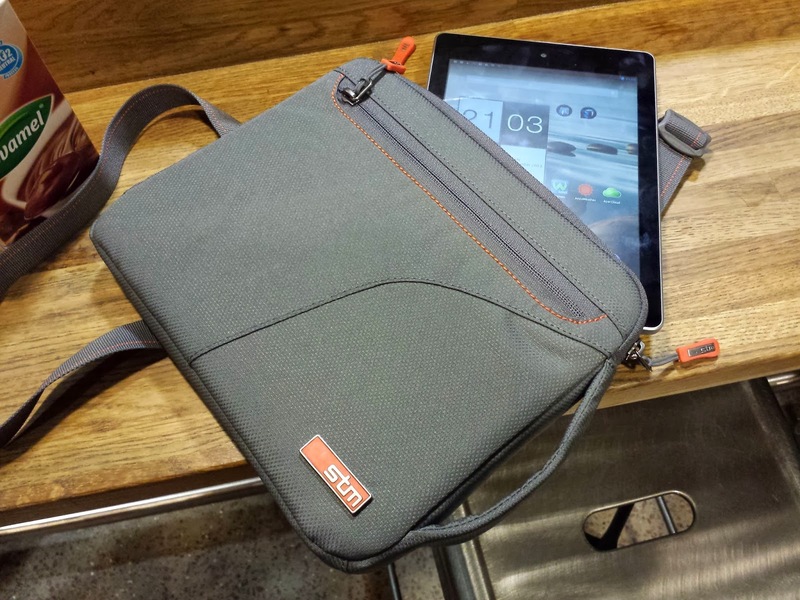 Very fortunately I got sent the marvellous Blazer D7 tablet sleeve from STM and it was a pleasure to throw the strap around my shoulders on my travels. What can I say about the Blazer D7 tablet sleeve? Okay... ...there’s a 10” version for larger tablets. 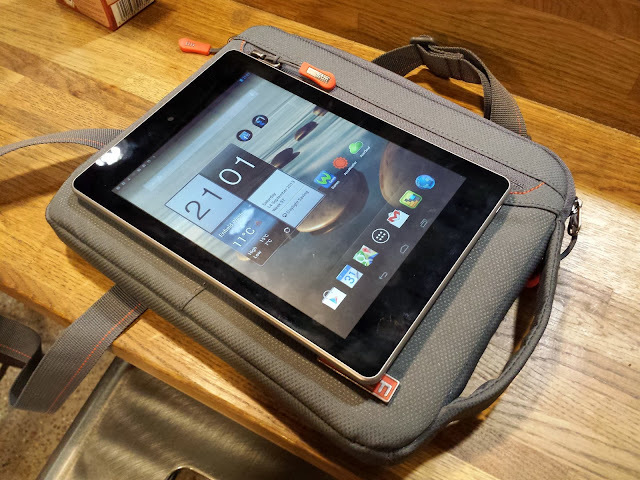 The D7 is very well padded and gives a great deal of protection to the tablet. As you can see from the pictures it has a zipped pocket at the front and an open pocket at the back to store stuff! 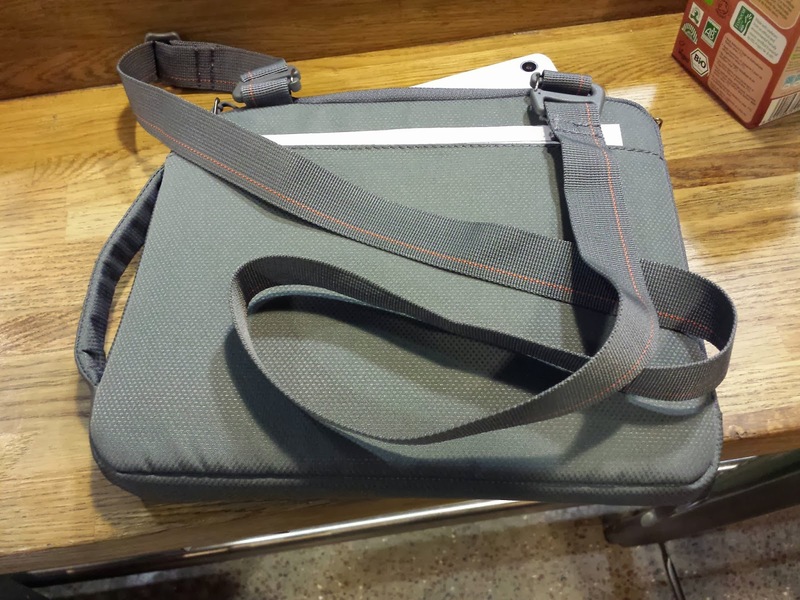 I love STM bags in general as they exude style and quality and the Blazer D7 is no exception. Now that the Iconia A1 has been sent back I feel desperate to fill the void (in every respect) with another tablet! Will it be the Iconia A1? We’ll see... 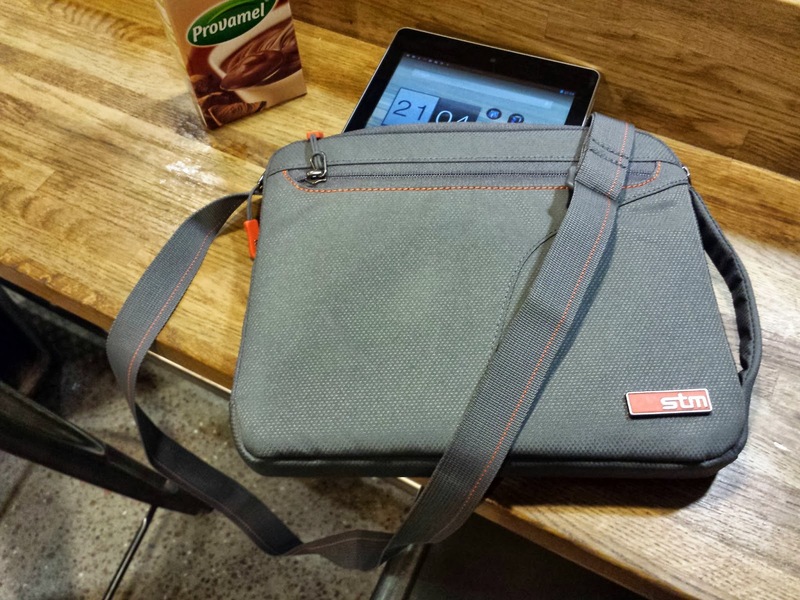 In any event I recommend the STM Blazer D7 to shield your valuable tablet! I judge a product not only by the usage, etc but if I miss it when it is gone. I miss the Acer Iconia A1-810! The Iconia A1 was simply a pleasure to use and couple with the Blazer D7 sleeve it was so very handy to take on the road with me. The Iconia A1 is very responsive, surfing the web was a great experience, social networking apps functioned very fluidly and I felt it was an all-round tablet for everyday use. Naturally, the array of productivity apps can have you replace the laptop for many tasks such as the equivalent to Microsoft Office. To be honest with you I tend to use my PC for the productivity side of things. I tend to use my tablet as a social networking and multimedia device. The Acer Iconia A1-810 certainly fits the bill. If you are interested you ought to keep a watchful eye on online and offline prices! iPad mini 16 GB Wi-Fi, £269 vs. Iconia A1 16 GB, plus 32 GB microSD expansion, Wi-Fi, £160. iPad mini 16 GB Wi-Fi & 3G, £369 vs. Iconia A1 16 GB, plus 32 GB microSD expansion, Wi-Fi & 3G, £199. That's a pretty decent shot! 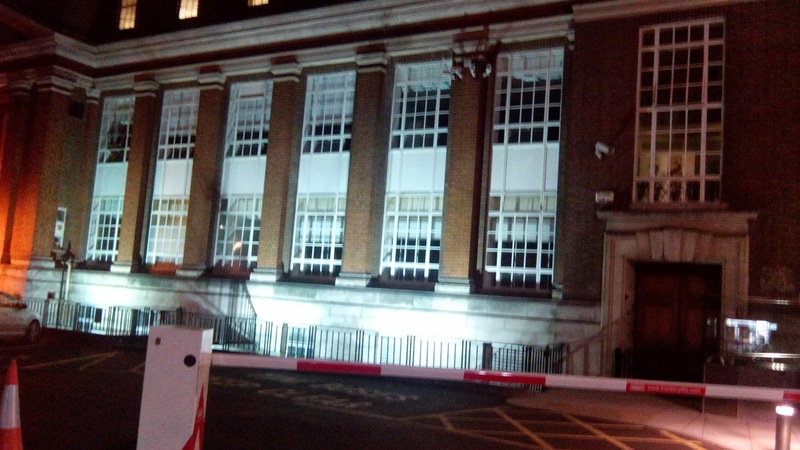 Taking shots at night proved to be a tad disappointing. The sky comes out looking marvellous but the rest of the building looks a tad dull. Good late evening, Synapse Circuit Readers! What have you noticed or not as the case may be? Cancelled for the iPhone! That’s right, the UK launch of the latest iPhone devices have gone unnoticed. The phone shops barely advertise it because any sales assistant will tell you that the premium Android handsets have so much more to offer. Gone are the queues formed by adoring fans waiting to get their fingers or fingerprint onto the latest Apple techno-child. Cut to a lone tumbleweed in a ghost town rolling down a dry, desolate street. What a shame for iPhone fans. For around £180 the above spec is pretty darn good considering the price in relation to the premium Android specifications as flaunted by the likes of HTC, Samsung, LG, etc. The design is something that you’ll take to or dislike. I personally like the design because it manages to be unique in the ocean of Android handsets; I particularly like the cut of the red earpiece – it reminds me of a robot visor for some reason. I think that what many will dislike is the 9.9 mm chunkiness of the Liquid E2 which seems to be a contradiction in terms. Again, I do appreciate chunky handsets; I did not feel the need to rush out and purchase a protective case which would, if it were thin, add a considerable bulk to the whole experience. At the back of the handset are the stereo speakers with DTS sound. You’d think that your hand may muffle the sound but because it is quite a chunky handset you can hold it quite comfortably whilst avoiding contact with the speakers. The speakers live up to expectations and delivers a nice crisp sound which can be altered via an equalizer; it is very loud too thus makes for a great alarm to get you up in the morning! The overall design is in keeping with Google’s no physical button preference which is something that I like very much. It makes the Liquid E2 look like a futuristic device. I do think that it looks better than the iPhone design. There again, it is not difficult to surpass that “design”. I was quite surprised by how responsive the Liquid E2 was / is. Applications open their screens rapidly when launched and it makes social networking a breeze! I have a busy Facebook profile and I found the Liquid E2 wonderful to keep tabs with my social networking interests – it could keep up! It multitasked fairly well with a number of apps running in the background. The 2000 mAh battery lasted for a day with moderate use. The 8MP camera capable of capturing 1080p video at 30 frames per second (fps) was quite disappointing. I found the camera action sluggish and this did improve somewhat with a device software update. However, the pictures are very good. There were some focusing issues where video is concerned which is a little disappointing. 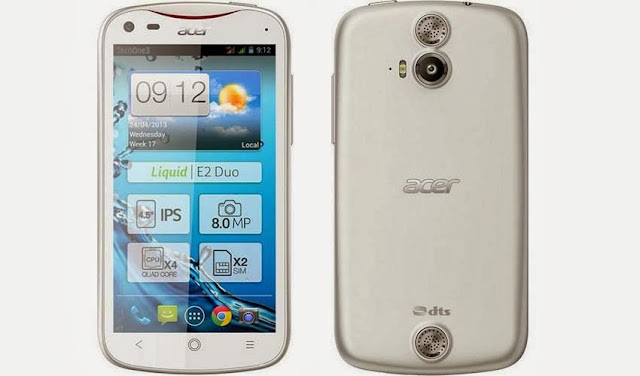 Oh, the Acer Liquid E2 came so very close to perfection for a budget handset. It just the video side of the camera has let it down a little. If you are looking for a second or third handset to, let’s say, take advantage of good offers from networks or want to keep business separate from a personal handset then the Acer Liquid E2 could very well fit the bill! Again, this is what Apple can’t do. Apple can’t produce a phone of this nature and stature which is most considerable in that you could purchase this handset outright. Even if you could afford the iPhone in cold hard cash you’re not getting much value for your money by the time an upgrade is due. Sure, the Liquid E2 has some shortcomings with video capturing but it isn’t a total disaster; with a bit of care it is possible to take good video footage - just don't move. It is handsets like these that continues to take chunks out of the Apple. With Music Maker 2014 its easier than ever to produce your own songs and tracks – no matter if you’re a beginner or a pro. Thousands of loops, various genres, virtual instruments and spectacular studio effects provide limitless possibilities and sensational results. The improved recoding function makes it simple to record your own vocals and add real instrument to your arrangements. And thanks to the brand new Vocal Tune feature and Pitch Wizard you will never miss a note! Create your own melodies using the Vita instruments and make your productions stand out from the crowd. Perfect your songs with your own vocal recordings, awesome guitar riffs, or original keyboard melodies. With just one click your hit can make its premier on SoundCloud, YouTube or Facebook. DN-e1 Synthesizer. A unique addition to the realm of virtual analog synthesizers with unparalleled sounds for melodies and soundscapes and almost limitless possibilities for creative sound design. 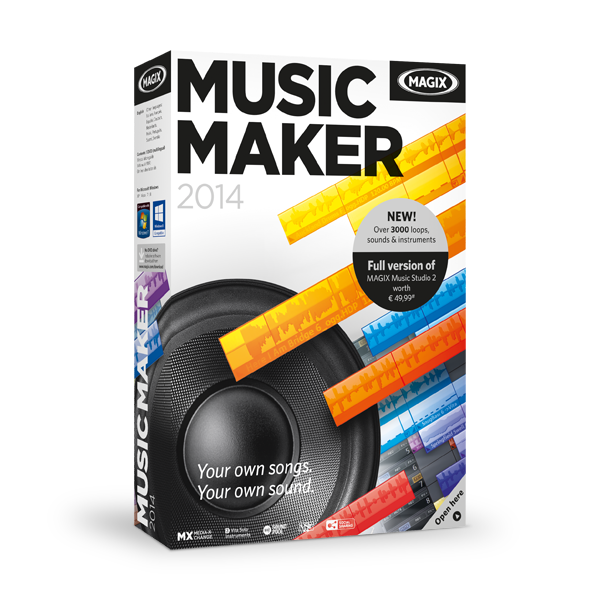 Dive even deeper into the music world with MAGIX Music Maker 2014 Premium: More premium instruments, tons of studio effects, expanded functionality, and even more sounds & loops provide everything you need to create your own amazing tracks. Your tracks will sound better than ever thanks to the new Auto Mastering function. The new Vocal Tune feature makes it easy to correct any imperfections in your vocal recordings. · Mastering Suite 4, incl. Auto Mastering. A wide range of professionally designed presets enable you to find the right sound for your songs in the blink of an eye. The Clone Function also makes it possible to transfer sounds from your favorite songs and bands to your own tracks. Are you excited? Well, check this out: Review and competition coming soon! 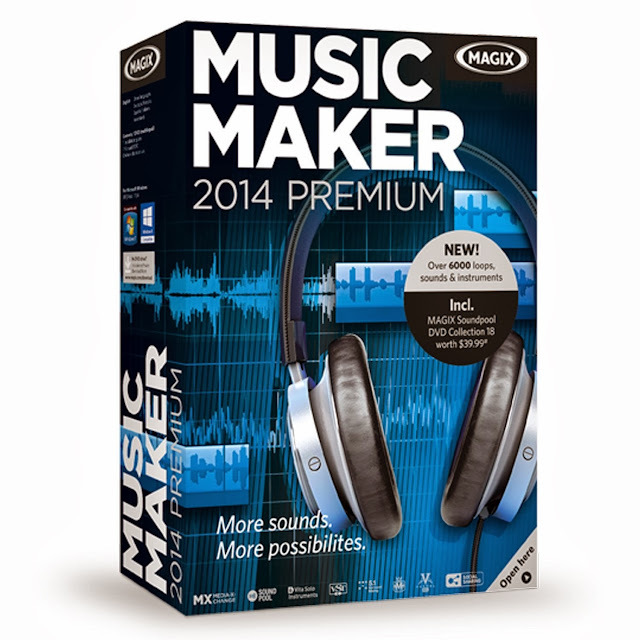 You could win the first grand prize of Music Maker 2014 Premium! The second prize is Music Maker 2014 Standard... In the meantime I am going to see if I can get more goodies for you! Good evening, Synapse Circuit Readers! I hope you had a good weekend! My weekend was pretty good! I spent most of it resting! Oh, today we had a bout of sunshine at this time of year! Great! Bring it on! The Windows RT tablet has proven to be a waste of time compared to the iPad and the many decent Android tablets out there. 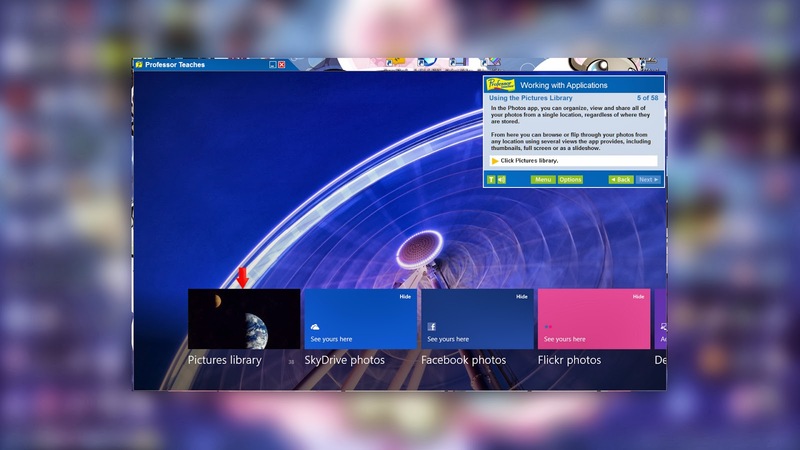 Windows RT lacks the wealth of apps that the iPad and Android has. However, the full blown Windows 8 operating system on a high-spec tablet can beat both the iPad and Android in terms of the user of such a tablet having access to a myriad of software titles for just about everything: DTP, music, photo editing, graphics, etc. The Surface Pro tablets are beautiful devices that outclass the iPad and not quite Android. Ok, let me tell you why! The iPad tablet is very costly and starts at £399 for the 16GB version. So, essentially you, as a Apple fan, are buying into two separate operating systems, Mac OS X and iOS, when perhaps you’d be better off with a Macbook Air. Looking over at the Surface Pro you have just the one operating system, Windows 8; you may find it convenient to be productive on the move and you’re certainly not chained to a desk (like I am while I type this review). The one Surface Pro may be all that is needed. But with power comes a great cost; the 64GB Surface Pro retails for around £639! But, unlike the iPad, I don’t see the Surface Pro user feeling the need to upgrade a year later! Gosh darn it! NO!!!! Like all new tech the price starts off high and becomes lower and in my must humble opinion if Microsoft had just concentrated on the Surface Pro and massed produced it instead of messing around with an RT version I am sure that it (the Surface Pro) would have been less costly. There again, it is not selling in great quantities and that is bringing down the price too! The good news is that if you don’t fancy the Windows 8 tablet then there are always some beautiful top notch laptops and ultrabooks out there that could work out to be of better value! Of course, that’s if you want something portable. 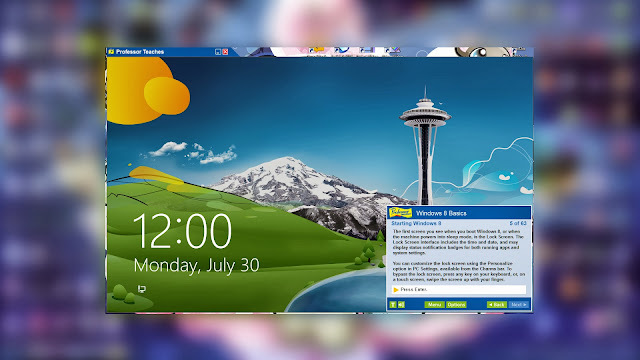 Windows 8 vs. Android: The reason why, in my most humble opinion, Windows 8 tablets aren’t able to compete with Android is down to the virulent nature of it. You can pick up a decent Android tablet for under £150!!!! Windows RT can’t do that and certainly Windows 8 has no chance of coming down to that price point. Not to mention a bunch of 7” Android slates from China that comes in at under £100! 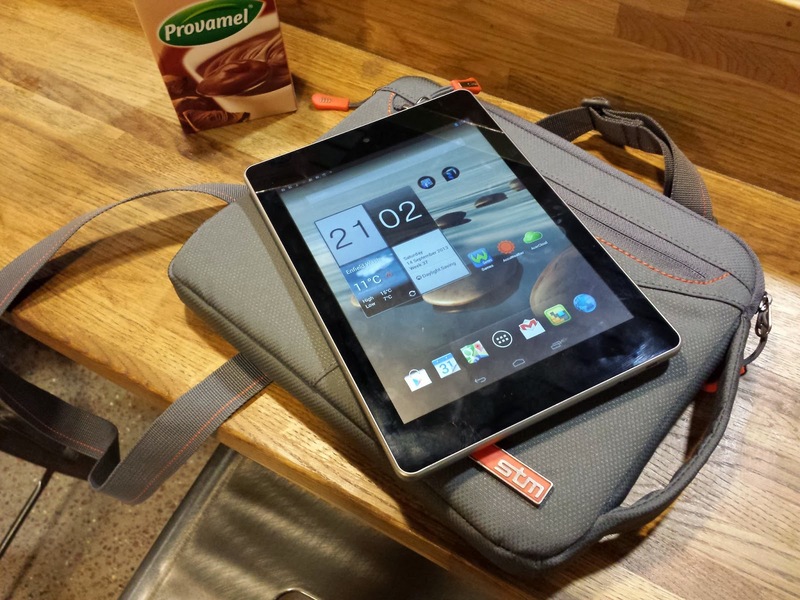 The Android tablet is often seen as a complimentary device to the desktop PC or Mac. The desktop PC will always be of tremendous value once the tablet hysteria has died down! As you may or may not know, the price of the desktop PC has come down a lot and continues to come down. Microsoft is definitely going in the right direction with Windows 8 and if you want to get to grips with it you could do no better than Professor Teaches Windows 8. 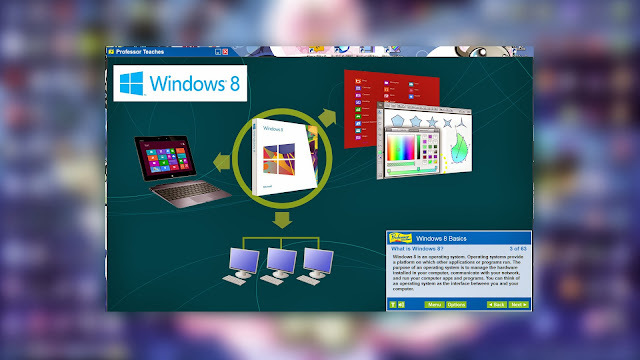 It’s a complete course in Windows 8 that takes you from the very basics to more advanced aspects of this progressive operating system. 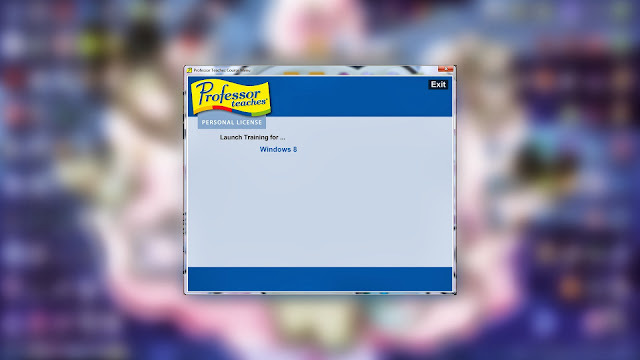 It is pretty much reminiscent of the CD ROM (remember those?) that installs itself on the hard drive and is run as a program. It is also like online learning – if you have ever done a course online! If not then have no fear because the tutorials are crystal clear and thorough! 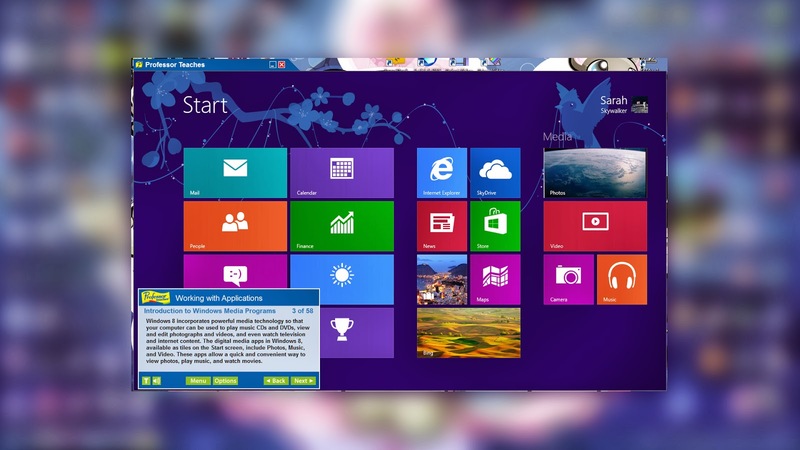 It’s for those who have bought a new Windows 8 PC / laptop / tablet with little or no idea on how to make the most of it. 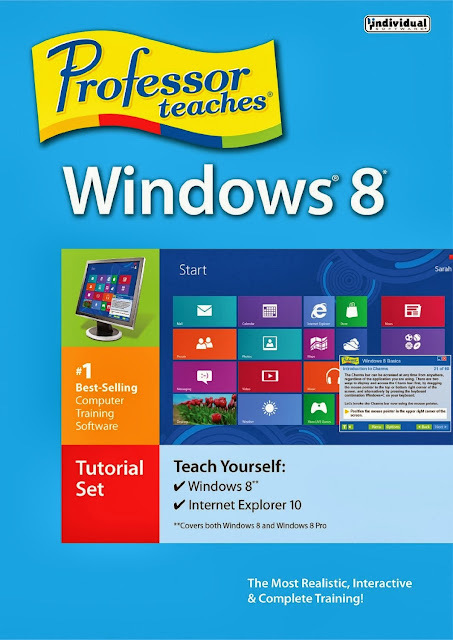 You will be taken every step of the way to become a proficient Windows 8 user. 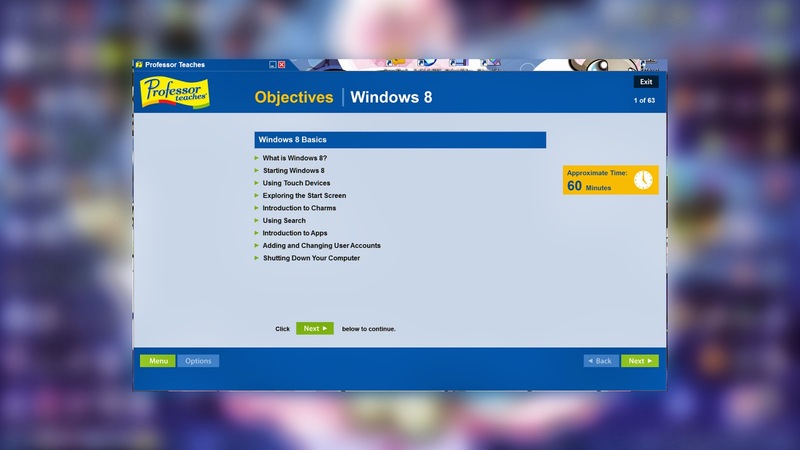 For the content I give Professor Teaches Windows 8 5 out of 5. Interface / ease of use it scores 5 out of 5. Pricewise, a bargain for the amount of work that has gone into it: 5 out of 5. Good evening, Synapse Circuit Readers! I hope that all is well with you and yours! I know that some of you followed my guide and experience with ‘Rooting’ the Android handset. Some of you also managed to install a custom ROM i.e. CyanogenMod. If you haven’t gone through that baptism of fire then I recommend that you should give it a good go! There’s a good reason for this as you will see! 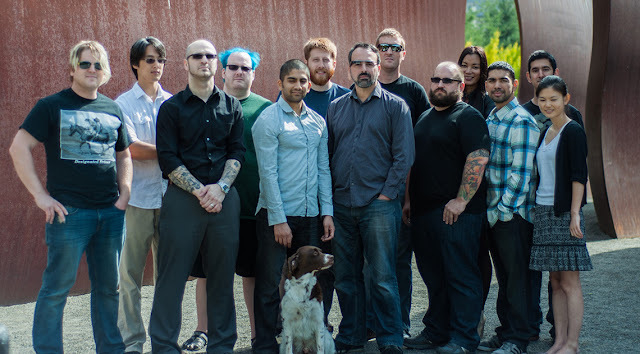 The good news and the great news is that the rogue crew of Android developers, CyanogenMod, have become incorporated! Whoo hoo! They, captained by Steve Kondik, promise to make the installations of their custom Android easier. This is good news for those, like me, who have gone through the process of rooting the handset and then installing a custom ROM. It is great and bad news for those who have yet to go through this educational process. Yes, I am very aware of the contradiction in the last sentence; basically I am stating that I found it very satisfying to research (through a Google search) on how to root and then install a custom ROM. I felt, albeit in a small way, that I’m kind of hacker. Lol! I am able to do what many people dare not do which is to remove the manufacturer software in favour of something purer and therefore better! From what I can gather you will still have to learn the rooting process but the installation of a custom ROM will be simplified a great deal. Let me quote from CyanogenMod. You have probably seen the pace of development pick up drastically over the past few months. More devices supported, bigger projects such as CM Account, Privacy Guard, Voice+, a new version of Superuser, and secure messaging. We vastly improved our infrastructure. We’re doing more bug fixes, creating more features, and improving our communication. We think that the time has come for your mobile device to truly be yours again, and we want to bring that idea to everybody. 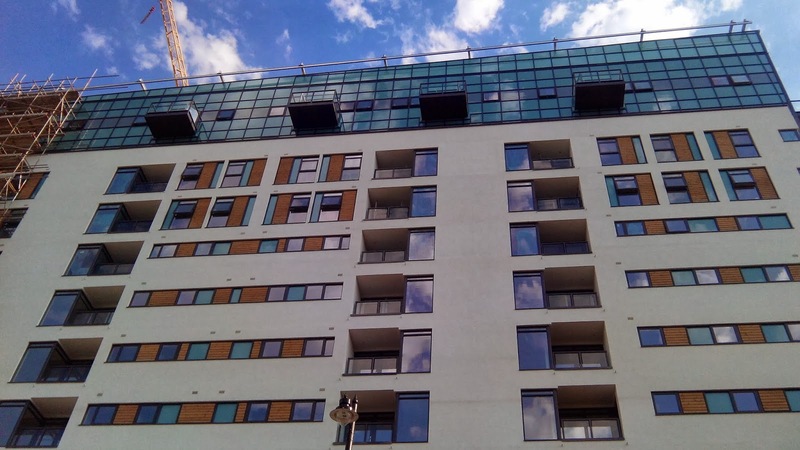 The biggest obstacle we wanted to get out of the way is the hideous installation process. Today there are more open and unlockable devices than ever, but they all have their quirks and wildly different installation procedures. We’ve done our best to document the process for every device we support on our wiki, but it is still a daunting process for mere mortals. This is not sufficient—installation needs to be easy and safe. This is a great deal of complexity to manage when you are talking about almost a hundred different devices, but we decided to tackle it. Our installer will be available on the Play Store in the coming weeks. So what does this all mean for the community? The first thing I wanted to do when I realized we were actually doing this, was tell everyone possible. But when starting a company, you have to think about the larger picture. This meant not announcing until the time was right, our house was in order and we would have something to show. I have seen open source projects come and go, some being bought out and closed, others stagnating and falling by the wayside. I don’t want to see this happen with CM. In all that chaos there have been projects that do it ‘right’, simultaneously supporting the company and the community—this is where CM will go. Our community is our biggest asset. With any change in structure like this, questions about motives and reason are going to need answered. The new products we have created should give you an idea about our motivation, and where we are going. What will change is our capabilities, our speed, and our size. I’m not one to let anything stagnate. The next logical steps for CM were out of reach previously, and the path forward is clear now. I hope you feel the same. I realize the questions will outnumber anything I can show you. We will be doing a Reddit AMA later today, so you all will have an opportunity to ask us exactly what is on your mind. There is of course more to our story to come, and we have barely begun this new chapter. The above is such fantastic news for root users; the issue of security is probably on a lot of people’s minds. I am no technological expert by any means but gleaning from the news and technological television programs there are certain features of the smartphone that raises concern about privacy and cyber-crime. I have also understood that many apps offering protection / security that can be easily downloaded from Google Play store are doing anything but! I embrace “security solutions that really work” from CyanogenMod wholeheartedly! As much as I enjoyed rooting my handsets (Samsung Galaxy S, S2, HTC Desire, One X and LG E400) there were times when I could have thrown some of them against the wall! I wished that there was an easier way of rooting a handset; the HTC models proved to be very, very complex. As much as I welcome the CyanogenMod installer I would love a Universal Rooter – that’s what I am calling it! I wonder if any such rooting app is on the cards. However, I learned quite a lot from the pain of going through rooting. At the very least I am able to research and follow instructions from the many sources online. Sometimes the information was confusing and the more agitated I became the more I didn’t understand the information given. It must have taken me the most part of a year to figure out how to root the bloody HTC Desire! Lol! I don’t mind admitting my shortcomings; I do not claim to have an outstanding knowledge of all things tech! The Samsung handsets were a breeze to root! In any event the information is there if you know how to look for it! You have to be patient and confident that you will find out how to do and undo! For example, I bricked the LG E400 but instead of panicking, like I once would have, I researched how to unbrick it and from there I installed a CyanogenMod custom ROM. Again, I do urge you to root and install a custom ROM! Sometimes it is worth keeping an old handset just to experiment with different ROMs, etc. Have a go! I happen to have the notion that CyanogenMod produces the most reliable custom MODs than any other custom ROM producer. It’s awesome to see that they are taking their wonderful work to a higher plateau! 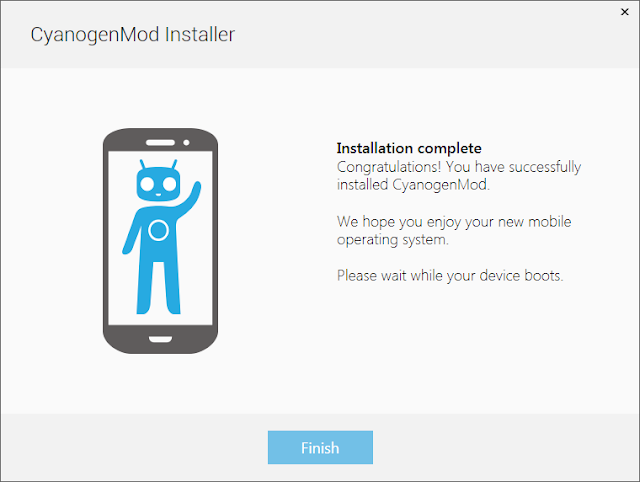 All my rooted handsets have CyanogenMod installed on them. SONY XPERIA Z ULTRA ON THREE! The sleek Sony Xperia™ Z Ultra on Three offers a rich mobile entertainment experience anytime, anywhere. With Sony’s largest HD smartphone screen yet, at 6.4”, the lightweight Sony Xperia™ Z Ultra smartphone on Three is perfect for those that want to enjoy entertainment on the move and is available now from Three stores. 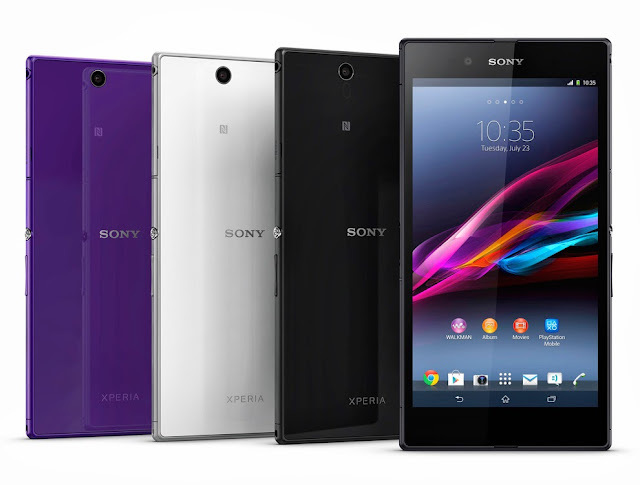 The Sony Xperia™ Z Ultra is 4G ready and when Three rolls out its 4G network, a simple, free software upgrade will mean the speedier technology will be available to customers at no extra cost. Three is offering the Sony Xperia™ Z Ultra with an upfront cost of £99 on a 24 month contract plan. Choose from £34 a month for the Ultimate Internet 500 or £36 a month for the Ultimate Internet 1000 which are both available with all-you-can-eat data. Otherwise for £38 a month you can opt for The One Plan that includes all-you-can-eat-data, 2000 minutes of talk time and 5000 Three to Three minutes, plus 5000 texts. The hardwearing device is dust resistant and *waterproof and you can even write or draw on the screen using any stylus or pencil allowing you to watch, read, write and play anytime and anywhere. The Sony Xperia™ Z Ultra will also be available to order online from October 18 at www.three.co.uk. If you love phablets then you should love the Xperia Z Ultra! 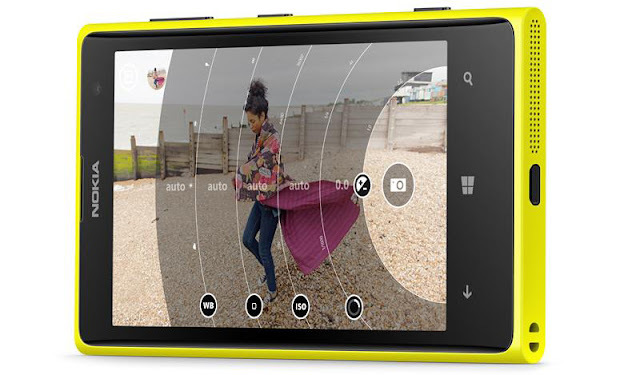 NOKIA LUMIA 1020: SNAP IT UP ON THREE! The Lumia 1020 looks great! Android Fans are probably a little jealous! Check it out! APPLE iPHONE 5C & 5S: THE BACKLASH! APPLE iPHONE PREDICTION FOR THE 10th SEPT 2013. SAMSUNG UNPACKED: EPISODE 2 @ Berlin IFA! APPLE ANNOUNCES 10 SEPTEMBER DATE: COLORBLIND?